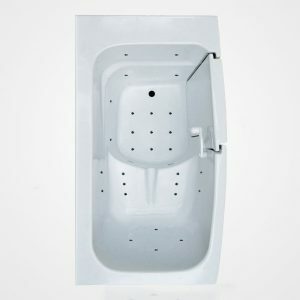 WaterTech Walk In Air Bathtubs provide a comfortable soft tissue massage which is therapeutic and provides a relaxing bathing experience for bathers. 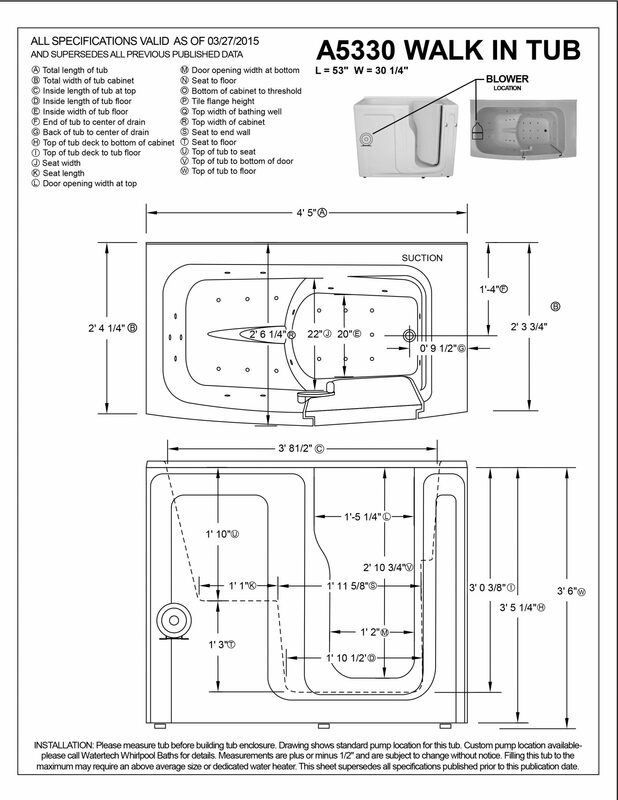 Our walk in bathtubs are made in the USA with quality materials, accessories and options. WaterTech’s popular walk-in baths can be used either as a built in bath or a free standing bath. 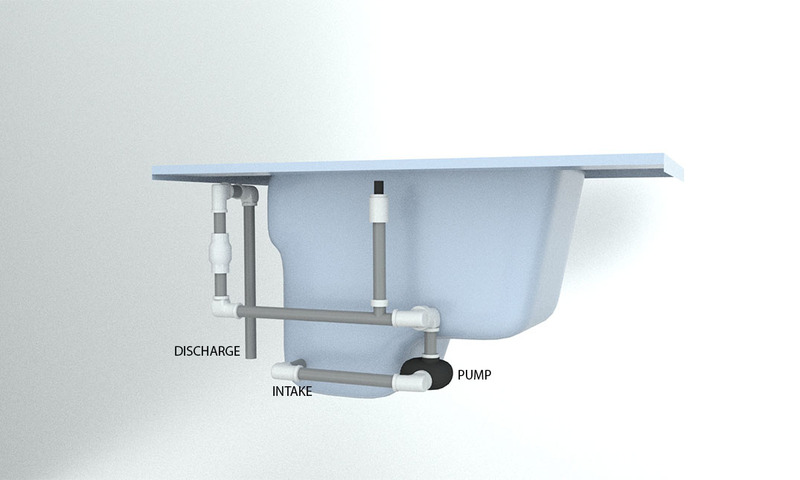 The tub has a low threshold with a wide inward swinging door that allows easy access for bathers with various mobility constraints. Doors are available with either left or right hand swings and have a large interior closing handle for simple and trouble free closing or opening of the door. The A 5330 Walk-in Air bathtub's comfortable sculptured seat was designed with a slightly reclining position that allows for an easy transfer from outside the tub to the bathing area. The textured tub floor is slip resistant for the bathers safety. Note: Prices do not include freight. Please call for pricing.